Engineers Australia interviews a diverse range of individuals aspiring to acquire chartered engineering status within their respective engineering expertise. The process of gaining chartered status includes a mandatory interview stage with three panelists. For instance, Mr. Roland De Broglio, Professor George N. Melhem and Mr. Adrian R. Osborne from the Sydney Division of Engineers Australia interviewed some people from the Roads Maritime Service (RMS), such as Mr. Houman Hatamian who was aspiring to gain recognition in the Mechanical and Structural Colleges. Also the same panel interviewed international candidates such as Associate Professor Chin Liew from the Singapore Institute of Technology who sought recognition for chartered status in aerospace structures. Most recently, interviewee Dr. Jack Ling sought to gain recognition in aerospace and mechanical. Panel interviewers included the Head Assessor of Engineers Australia Mr. Roland De Broglio, Panelist Professor George N. Melhem and Panelist Mr. Adrian R. Osborne. Head Assessor of Engineers Australia Mr. Roland De Broglio (far right), Panelist Professor George N. Melhem (centre right), Panelist Mr. Adrian R. Osborne (centre), Interviewee Dr. Jack Ling (centre left) and Perfect Engineering Intern Student Mr. Harout E. Kobti from the University of Sydney who is studying aerospace engineering. The March Fellows�?Luncheon at Parliament House was hosted by Mr Craig Baumann MP, guest speaker Professor Stuart Wenham and by 160 Fellows and their guests. 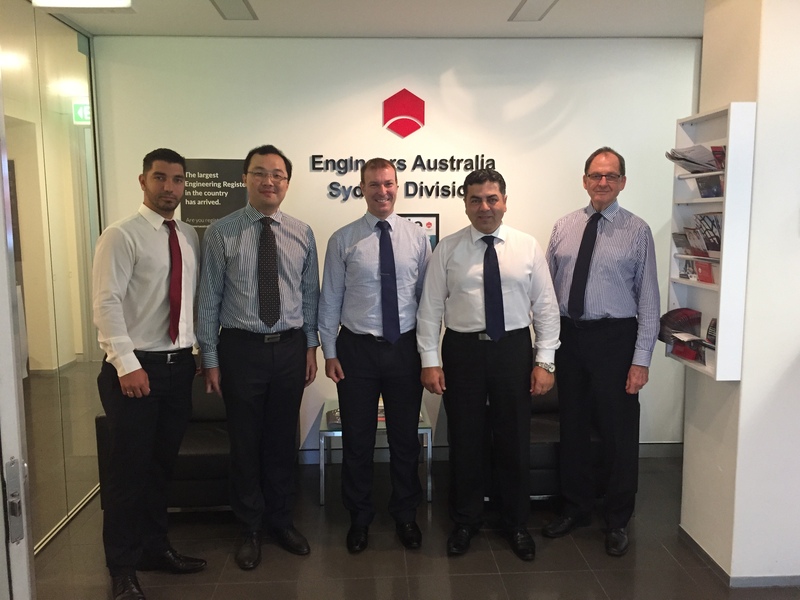 We welcomed 20 new Fellows and 1 Honorary Fellow into Engineers Australia Sydney Division.